Payment plans in CourseStorm are a hassle-free option to manage payment for classes that are over $100. If you enable payment plans for a class, we’ll automatically create a plan based on when someone registers and the date by which you want all your funds collected. No need to worry about schedules or amounts. 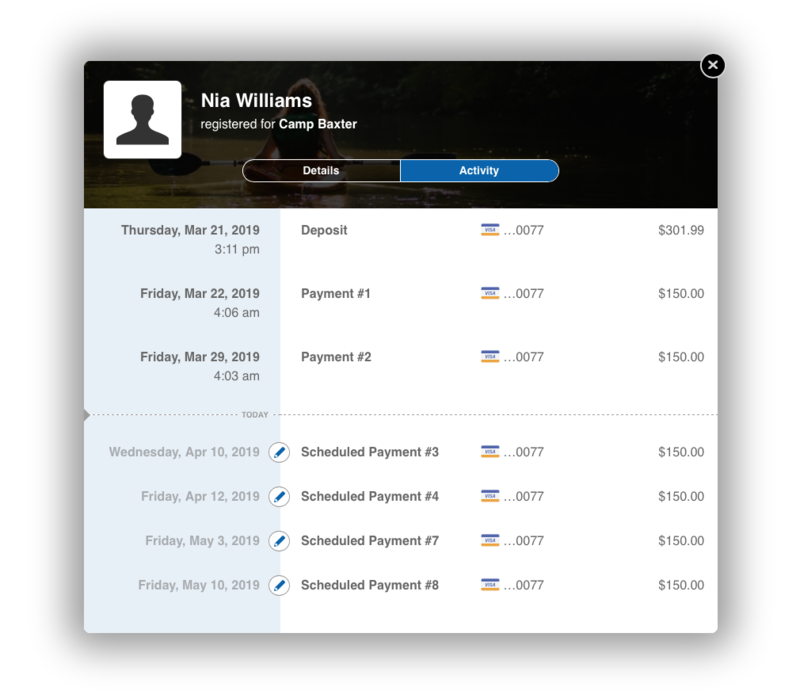 We’re always looking for new ways to make managing payment plans even easier for administrators, and today we’re excited to talk about two recently-launched features: rescheduling individual payments and changing the credit card for a payment plan once the plan is in progress. We added an all-new activity view for registrations back in December, and we’ve heard administrators have really enjoyed seeing a full history for any registration they receive. We recently upgraded the screen with a new edit button that allows you to choose a new date for any upcoming payment. After you click the pencil icon, you’ll be able to pick a new date when the payment will be due. You can even set two or more payments to be due on the same date. Even when a payment plan’s schedule stays on track, there may be a number of reasons why a customer might want to change the card used for payments. They may have received a new card from the bank if their original card was compromised. They might switch issuers. Whatever the case, now it’s easy to change to a new card once a payment plan has started. You can change the credit card on any registration with an active payment plan by going to the registration overview screen. 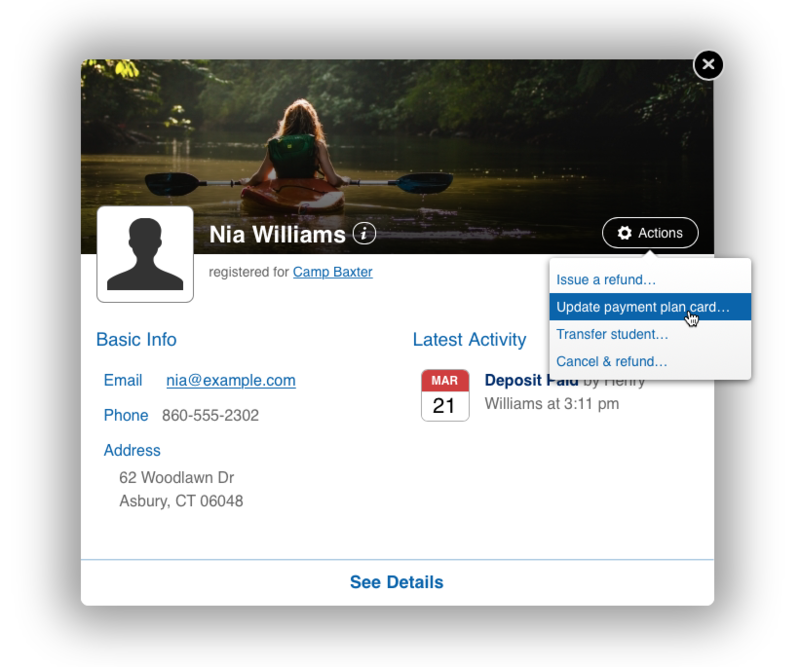 There’s a new option in the Actions menu called Update payment plan card… . From there, you’ll be able to enter the information for a new card to use going forward. Want more information about how to use easy payment plans for your classes? Or want to give CourseStorm a first try? Email our Support Team anytime – they’d be happy to assist you!